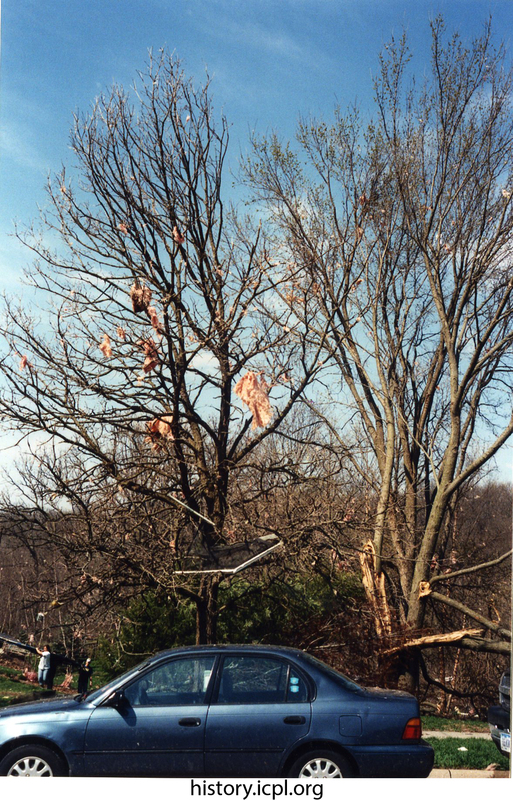 Patches of pink fluff insulation drape over tree limbs as the F2 tornado winds down. How many miles did this insulation fly? Where did it come from? 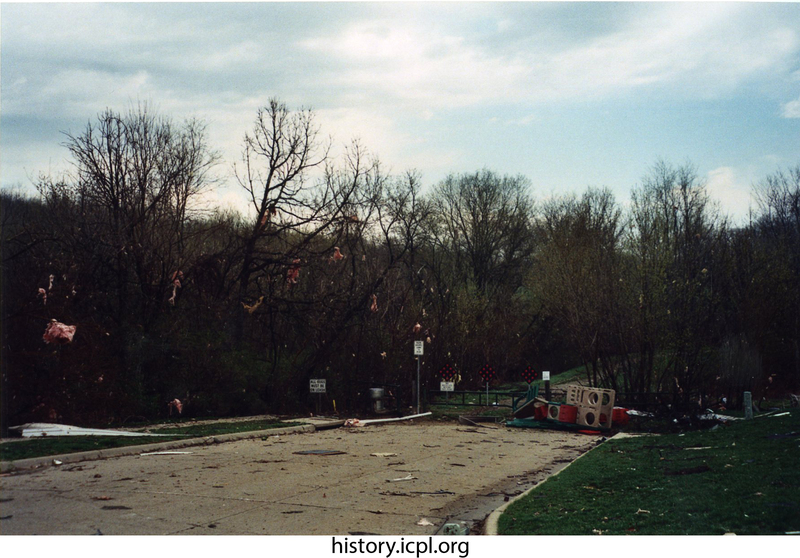 Craig, Susan, “Pink insulation in the trees,” Iowa City Public Library, accessed April 19, 2019, http://history.icpl.org/items/show/2237.